Shipping extra if kit needs to be mailed. Option B: PURCHASE THE GOOGLY GHOULS STAMP SET + one of the CARDSTOCK assortments listed below FOR $25.00( clear mount ) or $30.00 (wood mount ) You will have cardstock left over to complete a second set of cards or to use with future projects. Kits include a pdf with pictures of each card and hints for assembly, should you encounter problems during the assembly of your card please feel free to contact me wagstamp@bellsouth.net. If you enjoy stamping for a hobby, would love exclusive resources, with no pressure and want to save on Stampin' UP's quality, coordinating products, you sound like a perfect fit for my team! Contact me today to find out more information. With our Starter Kit at a new low price of $99, why not sign up when there is an incentive like this? What a cute project. Shown here as the Spook-tacular Halloween Project, who's to say you can't take it apart and make it for every holiday? Isn't this just darling? It comes with materials to make it a Halloween design, but you can easily pop them out and change it up for every holiday! Have you ever thought about joining a stamp club? As a member of the club, you get an exclusive workshop once a month to learn new stamping techniques and trends, use my supplies, and take home 3 projects! It is a LOT of fun!! I am starting new stamp clubs here in the Raleigh area in September and will stamp together for 10 months. You can choose from Wednesday, Thursday or Friday evenings. Email me if you are interested in more info! This past weekend my Magnificent 9 group met and this is one of the 3 projects we made. I love the new Perfectly Preserved Bundle from the new Holiday Mini Catalog. The bundle saves you 15% when you purchase the Perfectly Preserved Stamp Set and the Cannery Set Framelits Dies together. Thanks for stopping by! Blessings! Try My Digital Studio -----30 day free trial....just download and see how easy it is to use!! Just sign in and put my name in the demonstrator line and you will be set to go. Contact me for any questions you may have. One of my favorite things about being a Stampin UP demonstrator is that we get this wonderful magazine each month called Stampin Sucess. There are tons of ideas in it and this month they had this fabulous fall wreath, using our new Wonderfall Stamp set, Autumn Accents big shot die and the cool Woodgrain Textured Embossing Folder. I used it all along with some neat things such as a corrugated box lid that my Stampin' UP! goodies come in as well as the packing paper and burlap and of course cardstock. I love the new Tulle Cherry Cobbler Ribbon for the bow. So if you would like to make one to sign up for my class on 6th. 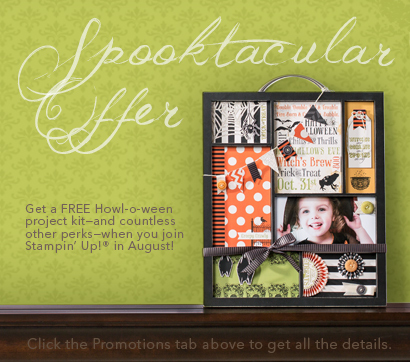 check out my events page on my Stampin' UP! website or view on the Events page here at the top under my banner. Thanks for stopping by, I am having so much fun creating fall ideas and projects for you. or SAVE OVER $5 and order both: $29.90 for both sets of accessory shares + $5.15 Priority Mail! After emailing me at wagstamp@bellsouth.net with your interest in these shares INCLUDING YOUR EMAIL ADDRESS, your name, address and phone #, I will send you my address to send me a check and confirm with you when I have a group of 5 people. Then I will order the product from Stampin' Up! and divide and package it and mail the share back out to you. Please note this could take a week to 10 days for this process plus a few days shipping time. Shares are shipped USPS 1st Class Mail to US addresses only. If ordering both shares, they will be mailed together in a USPS Flat Rate Priority Mailer. I will always do my best to get this product out to you as soon as possible, and I will be putting in the first order for products as soon as each group of 5 fills. Thank you, and please email me with any questions you have. Twix You and Me! & Ticket to Fun! Last month at my team meeting I made these to give my team members. I love the pinwheels. I put the Twix miniature candy bars in the pocket. So fun! I will be making a project at my stamp club this month using a pinwheel. Contact me if you are interested in joining a stamp club, new one starting in August. Last week I participated in a fundraiser for a family that lost their mom unexpectedly. When I was printing out my class schedule I has the great idea for the Take a Ticket wheel #126941. What a fun way to share my class schedule and what better way to announce it. Check out the schedule and see if you can fit a class in your schedule! Click schedule to view larger.